Featuring three of our most cherished wines, all scored 91 points or higher by Wine & Spirits magazine, this gift set will bring delight to any connoisseur of world-class red wines. 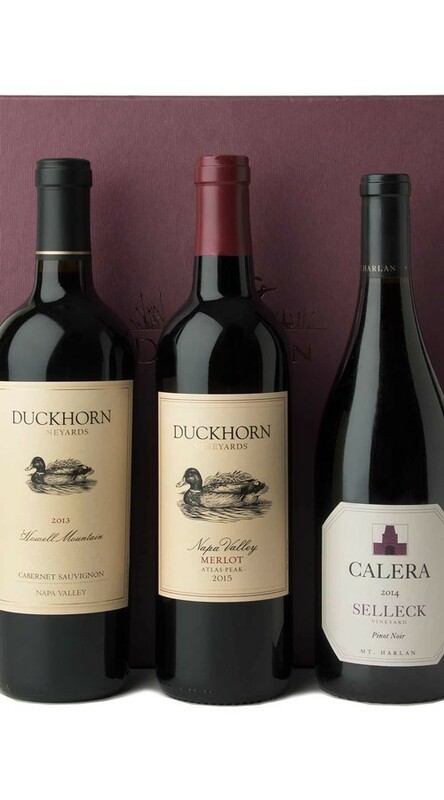 From Duckhorn Vineyards Howell Mountain Cabernet Sauvignon and Atlas Peak Merlot to our collectible Calera Selleck Vineyard Pinot Noir from Mt. Harlan, these cellar-worthy gems will bring joy for years to come. Presented in an elegant gift box.